Our most popular finish. Lacquer provides a hard, durable surface which can stand up to everyday use. All pieces are thoroughly cleaned, repaired and sanded creating an ideal surface to create a high-end look. Professionally sprayed by one of our experienced team members, a lacquer finish ensures a smooth, even finish. 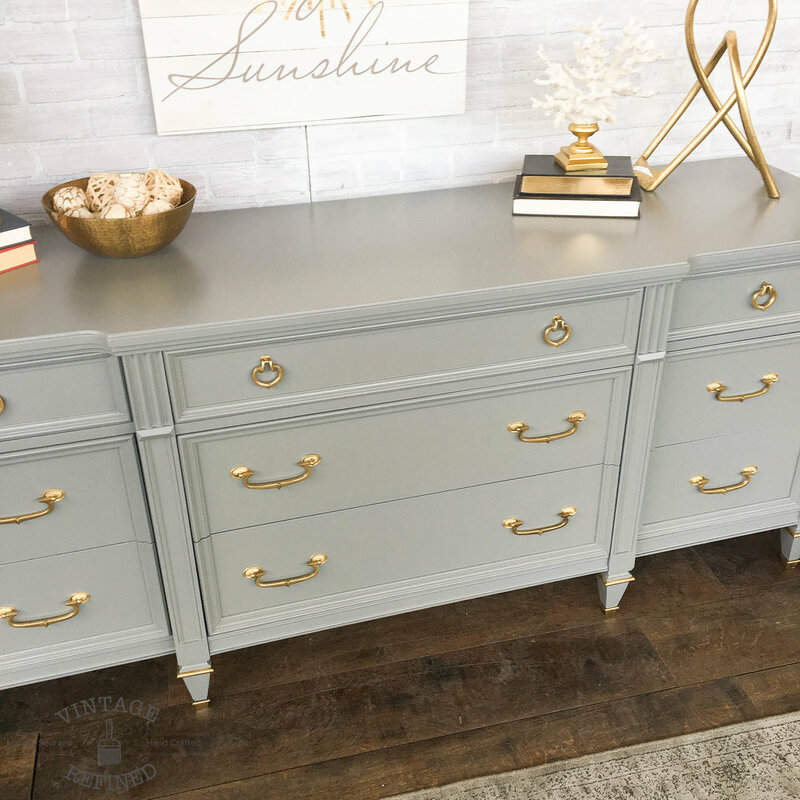 This finish is a great choice if you are seeking anything from a traditional to contemporary look. Choose from one of our in-house colors or provide your own custom color from any major paint brand. You can choose either a satin finish or high-gloss finish. In-house colors are included in the price. There is a $60 up-charge for choosing your own color. If you choose to replace the hardware, the additional charge is just the cost of the new hardware. There is an up-charge of $60 for specialty finishes. This includes, but is not limited to, hand-embellished detailing, glazing and distressing.